AS government pushes for extensive use of plastic money, the Postal and Telecommunications Regulatory Authority of Zimbabwe is promoting financial inclusion by reducing cost of electronic payments by a massive 60 percent. This takes effect on July 1 and affects mobile money transactions using the likes of Ecocash, One Money and Telecash together with banking services like internet banking. Potraz also slashed out of bundle mobile data charges by 60 percent, which applies to internet/data that is used outside the popular WhatsApp, Facebook and Twitter bundles by mobile networks. 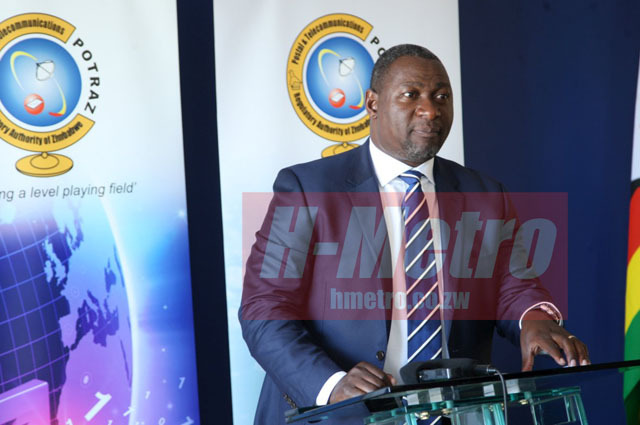 Minister of Information, Communication and Technology and Cyber Security, Supa Mandiwanzira said yesterday they were promoting interests of operators and also balancing with consumers so that the industry remains viable. The reductions, exclusive of taxes, were necessitated by high tariffs which affected progress in Zimbabwe. “This is meant to address the high transaction cost of e-payments and increase financial inclusion. “Tariffs in Zimbabwe are very high compared to other countries causing trouble in business. “In the new dispensation for business to work this includes affordable tariff rates, he said. “The biggest call for businesses to prosper is internet and transformation is happening quickly,” said Min Mandiwanzira. He said to ensure that the reduction benefits the transacting public, the Authority engaged the Reserve Bank of Zimbabwe to engage Financial Service Providers so that the reduction is passed on to the transacting public. “This transformation can only happen if the Telecommunications sector attracts investment by universalism of ICT and provision of high quality services. Mandiwanzira said the national interconnection rates shall be reduced from the current four cents per minute to two cents per minute exclusive of all taxes. This applies across all interconnecting operators. “In the meantime the threshold for mobile voice and SMS shall be reviewed in due course till they are consulted. “The Fixed Voice charges shall be left to market forces subject to regulatory approval.